We are pleased to announce Yelyzaveta (Liza) Borysenko from Ukraine as the November FLEX Student of the Month! Liza is hosted in Junction City, Kansas and her placement organization is States’ 4-H International Exchange. Already, in her first few months, Liza has become an active member of her high school. She has joined the school art club and participated in projects including painting murals in an elementary school gymnasium and in the boys’ and girls’ restrooms. She also shared her artistic talent with both the junior and senior classes in the design and construction of floats for the Homecoming parade. In November, Liza will perform in High School Musical at her school. Liza has also joined Students Against Destructive Decisions club (SADD) and was the co-manager of the girls’ high school volleyball team. Despite her busy after-school schedule, Liza has maintained straight A’s, received high marks for her English from her teachers, and has been inducted into the National Honor Society. Liza has enrolled in the local Brookside 4-H club, was elected as club historian, and has been involved in club activities. She attended 4-H exhibits at the Kansas State Fair and the County 4-H Achievement Night. During 4-H’s “48 Hours for 4-H” community service weekend, Liza was a group leader for Monster Myths, a Halloween-themed event at Milford State Park Nature Center. This event taught young participants about animals with “spooky” reputations as a Halloween activity. She also participated in a food drive as part of Geary County 4-H’s “48 Hours for 4-H” community service project. In addition, Liza used her artistic talents to do face painting for children in a local community church fund-raising activity. In total, Liza has volunteered 35 hours. In her local community, Liza has been interviewed by the local newspaper and by the local radio show, alongside her host sister. She shares her Ukrainian culture with others through cooking, baking, traditional dress, and presentations to groups like the 4-H International Exchange Alumni Group. 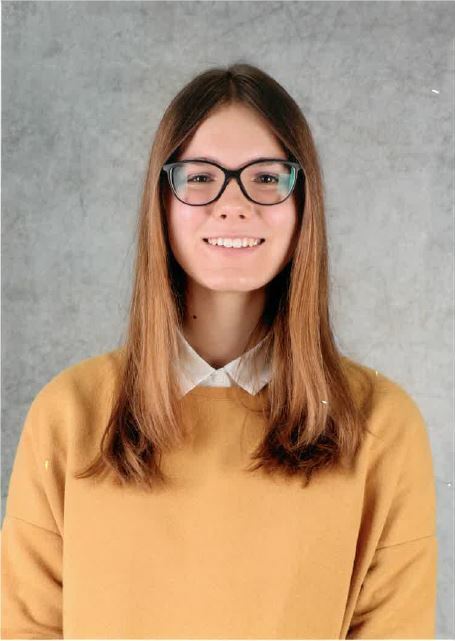 Liza is working with a 4-H FLEX student from Poland and their host sisters to present a one-hour workshop for the Kansas Youth Leadership Forum in November, which will share the cultures of Ukraine and Poland. Liza is also enjoying her time here in the United States by trying everything her host family is involved with— wake-boarding, boating, new foods, and farm activities. She has attended a wedding, a college football game, the Kansas State Fair, and the community theater with her host family.